Cloudspin Resort held too many ghosts for Kylie McKee, so it was only the death of her father that brought her back to a place she once called home. Getting in and out was key...until a murder and the appearance of her childhood crush thwarted her plans. 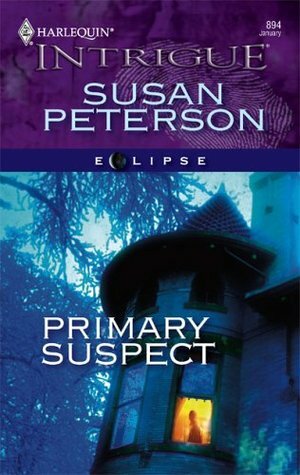 Primary Suspect probably could have been an excellent crime thriller if not for the very obvious leaning towards the romance. Also, this book probably suffers from a slight oversight in logic, as well as a too-rushed ending. It certainly had a lot of potential, and had all the elements I would have loved in any story. But there were one too many logic holes, and maybe a predictability factor that was blatantly obvious. I didn't expect the supernatural angle, though I think it certainly added bonus points. And if used properly, I really feel like the dialogue could have added to the likability of this book--there was a very valiant attempt at witty banter, which, aside from maybe one or two scenes near the end, really just seemed to come out at the most inappropriate moments. The characters were fairly standard, which is another way of saying flat and boring. But in the end, I DID manage to inhale the entire book in one day, so there's merit in that, right?